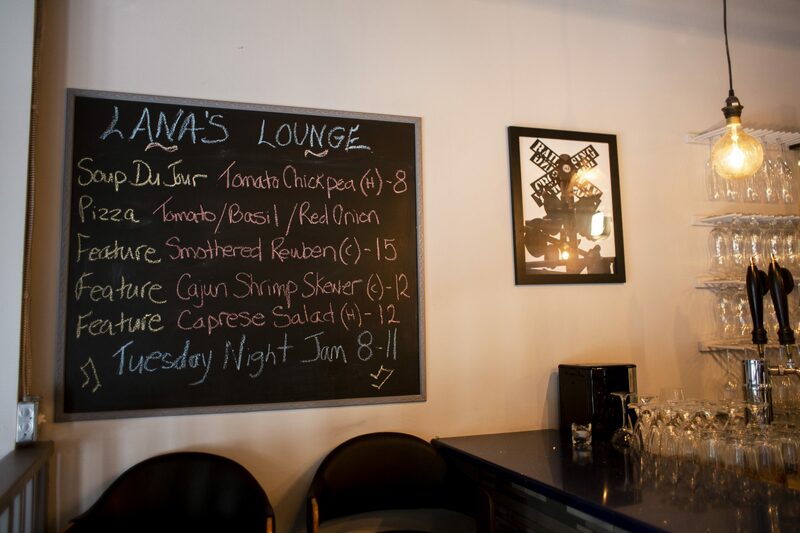 Nestled into the 220 King Street N. Plaza, surrounded by various other restaurants and cafes, is the home of a newly opened lounge and restaurant called Lana’s Lounge. “We opened to the public April 12 of this year,” said Marissa Mansz, co-owner of Lana’s Lounge. Both owners, Mansz and Shan, have a great deal of experience in other fields. 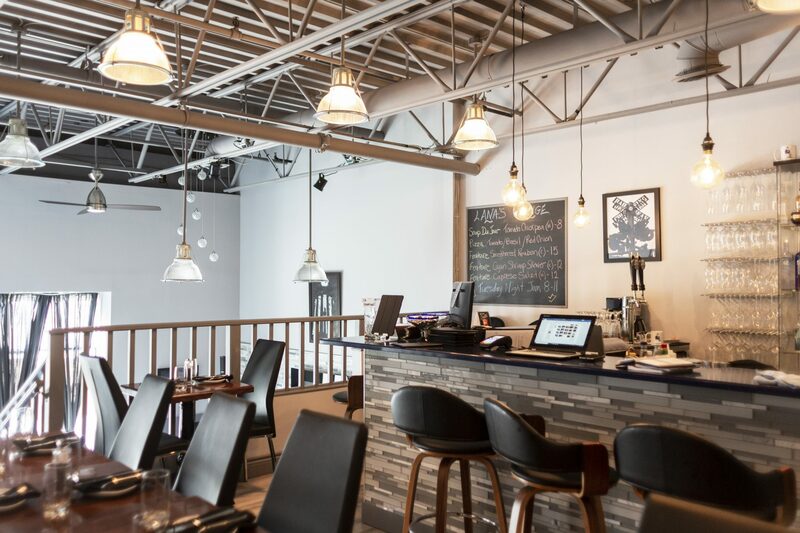 “We previously had a financial practice, my husband was a financial advisor for the past 16 years and we just have always thought of getting back into the hospitality industry and we were just ready for a change,” Mansz said. The lounge itself is a small, but very cute, space. One benefit of the smaller space is the more cozy and comfortable atmosphere that can be generated. Lana’s Lounge is split over two levels. The lower level is the lounge area with chairs and couches for people to mingle and chat while listening to live music. The upper floor is where the majority of seating is for the dining area, as well as the location of the bar and kitchen. Unfortunately, due to the restaurant being split over two levels, the space is smaller and does not leave a lot of room for many people at one time. Variety seems to be a priority that makes its way into a number of different aspects of the restaurant, from the target audience to dietary needs. While Lana’s Lounge does not actively target students as their primary group of focus, the owners still welcome student guests. “We’re, you know, every age group, [and] all age groups are welcome to come out,” Mansz said. In terms of being accommodating of dietary restrictions, Lana’s Lounge seems to pride itself on being able to accommodate most needs. This includes having many gluten-free and vegetarian options, as well as the ability to make other dishes friendly to many different needs. “We want to be able to accommodate everyone … we aim to please,” Mansz said. When I went I was accompanied by a fellow Cordie. Perhaps the best part of Lana’s Lounge is the food. We started with the ‘Lana’s Signature Spiral Pickle’ which was very tasty. The batter on the pickle was crunchy but light, and the aioli that came with it was the perfect pairing. We then shared their featured pizza, which for that day was tomato, basil and red onion. I think it’s fair to say we both really enjoyed it. A great surprise was learning that this yummy pizza was actually made with gluten-free dough, something that is hard to make taste like regular dough, but somehow Lana’s Lounge has done it. Besides great food, Lana’s Lounge also offers a great deal of live entertainment, specifically musicians and groups greatly ranging in type and focus. Local groups seem to be a focus for the owners. “Most of the musicians that we have in are local musicians and … they have to get our vibe,” Mansz said. The restaurant posts its live entertainment schedule on its website, so if you’re looking for anyone in particular, online is the place to do it. Overall I could sum up my thoughts on Lana’s Lounge like this: would I go to Lana’s Lounge all the time if I wanted to eat out? No, its prices and target audience are not what I would look for. Is it a great place to go as a special treat, or for a low-key date night? Absolutely.